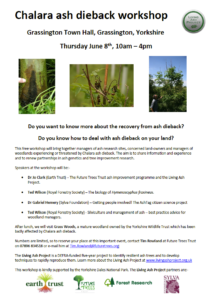 This free workshop will bring together managers of ash research sites, concerned land-owners and managers of woodlands experiencing or threatened by Chalara ash dieback. The aim is to share information and experience and to renew partnerships in ash genetics and tree improvement research. Dr Jo Clark (Earth Trust) – The Future Trees Trust ash improvement programme and the Living Ash Project. Ted Wilson (Royal Forestry Society) – The biology of Hymenoscyphus fraxineus. Dr Gabriel Hemery (Sylva Foundation) – Getting people involved! The AshTag citizen science project. Ted Wilson (Royal Forestry Society) – Silviculture and management of ash – best practice advice for woodland managers. After lunch, we will visit Grass Woods, a mature woodland owned by the Yorkshire Wildlife Trust which has been badly affected by Chalara ash dieback. Wondering what to do about ash dieback? Here’s how you can help. A unique project is hoping to stem the tide of the ash dieback disease by encouraging people to help in finding the solution. 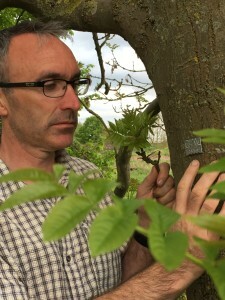 Although millions of trees are at risk from the disease, the Living Ash Project, one of several research projects into ash’s resilience to dieback, is aiming to find tolerant native ash trees from which to breed the next generation of healthy trees. 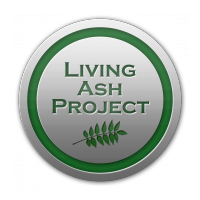 The Living Ash Project is a consortium of specialists including environmental charities Earth Trust, Sylva Foundation and Future Trees Trust, and the Forestry Commission’s research agency Forest Research. The £1.2M project, funded by Defra, is the only ash dieback project to use ‘citizen science’ to help in gathering information. 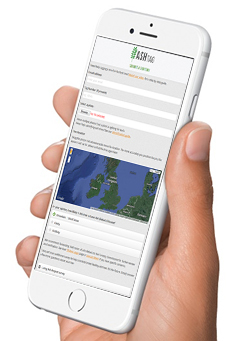 Members of the public are encouraged to obtain a special aluminium tag to fix to an ash tree and submit basic details about the tree on-line, together with a photo. The project needs to identify healthy trees, especially in areas where other ash trees are succumbing to ash dieback. As spring advances and leaves begin to appear, now is the perfect time to identify the signs of ash dieback – wilting growth and possibly even bark lesions. Woodland Trust Wood Wise – Spring 2015. 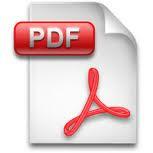 Click to read and download. 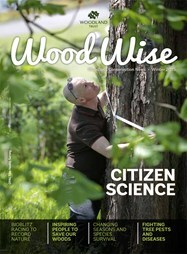 The Spring issue of the Woodland Trust’s magazine Wood Wise focusses on the role that everyone in society can take in collecting important information about trees. It includes the Living Ash Project www.livingashproject.org.uk, which is featured alongside many other great initiatives. This is a project in which we are working alongside the Earth Trust, Forest Research the Future Trees Trust, with funding from Defra. We are hoping to attract more volunteers this Spring to capture the latest spread of ash dieback and possible tolerance exhibited by some trees. Our thanks to the Woodland Trust and editor Kay Hawes. As a partner in the Living Ash Project the Sylva Foundation is asking for help in adding ash trees to an important nationwide survey. We are asking members of the public to get involved by tagging up to five ash trees that will be surveyed once every year. Tag packs consisting of five tags have been developed, each with a unique identification number, plus aluminium nails to affix it to the tree stem (these do not harm the tree), together with full instructions. Once that the trees are tagged, we ask volunteers to complete a simple annual survey about its health. The survey is hosted by our partner Ashtag and is available online on computer, tablet or smartphone. Volunteers will be asked to pinpoint the tree location(s) on an online map, take a photograph, then answer five straightforward questions. 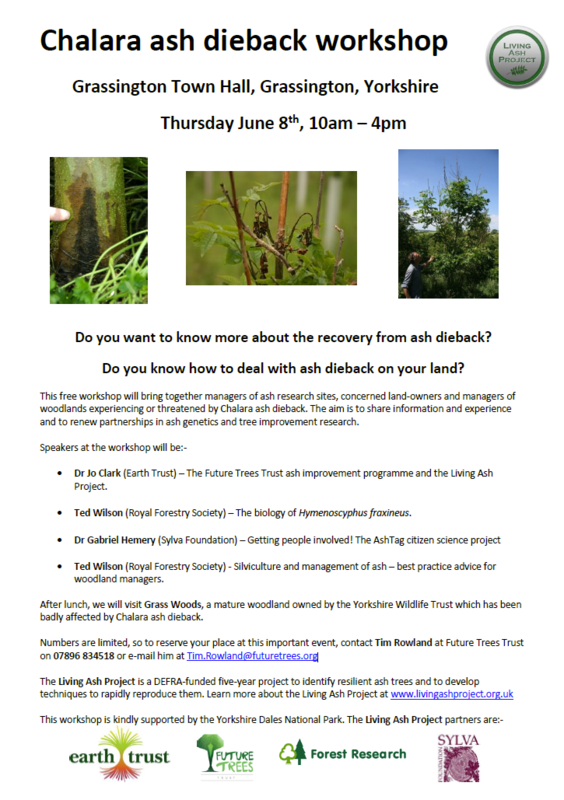 Do you want to know more about the recovery from ash dieback? Do you know how to deal with ash dieback on your land? Dr Jo Clark, Earth Trust – The Future Trees Trust ash improvement programme and the Living Ash Project. Ted Wilson, Silviculture Research International – The biology of Chalara fraxinea, identification and reporting of infected ash trees. Dr Gabriel Hemery, Sylva Foundation – Getting people involved! 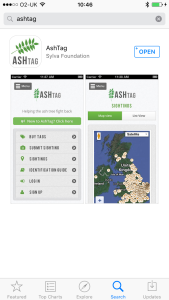 The AshTag citizen science project. Ted Wilson,Silviculture Research International – Silviculture and management of ash – best practice advice for woodland managers. Golden Wood, a young woodland where ash dieback was first reported in Suffolk. This workshop is kindly supported by Suffolk County Council.